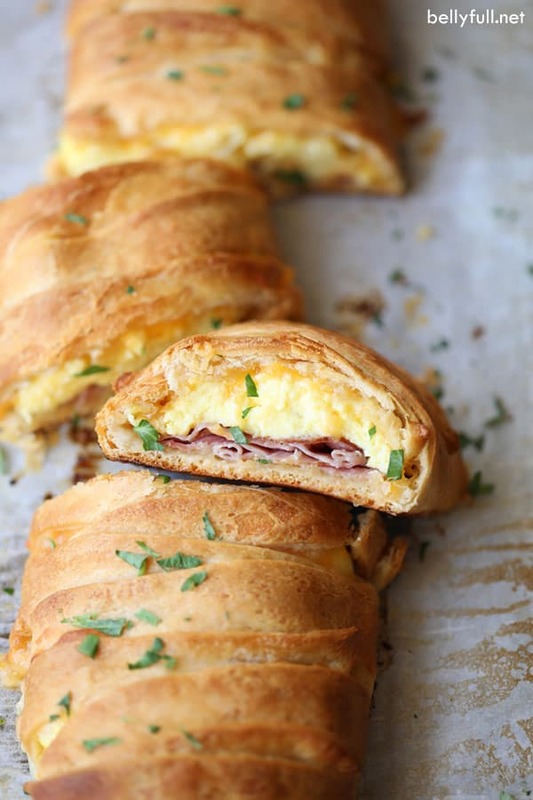 Get your eggs, protein, and toast all in one with this Easy Breakfast Braid. Looks so fancy, but it’s so simple to make! I just want to eat breakfast all the time. Who needs baked chicken when you’ve got eggs. All the eggs! 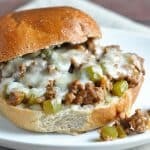 With two young kids and a million activities, I am always in need of easy and relatively quick meals. Even better if it’s all-in-one like a sheet pan dinner or one-pan pasta dish. Anything with less pots to clean! That’s why breakfast food is such a lifesaver. Cannot even tell you how many times a month I make my Sheet Pan Pancakes, Baked Oatmeal, and Make-Ahead Breakfast Enchiladas << all for DINNER. 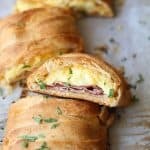 I’ve got another awesome breakfast recipe for you – this Easy Breakfast Braid is my family’s new love. You’ve basically got your eggs, protein, and toast all in one. Plus it’s so pretty! One of those recipes that looks fancy, but it’s super simple to make. And what a lovely presentation if you’re serving brunch for a small group. 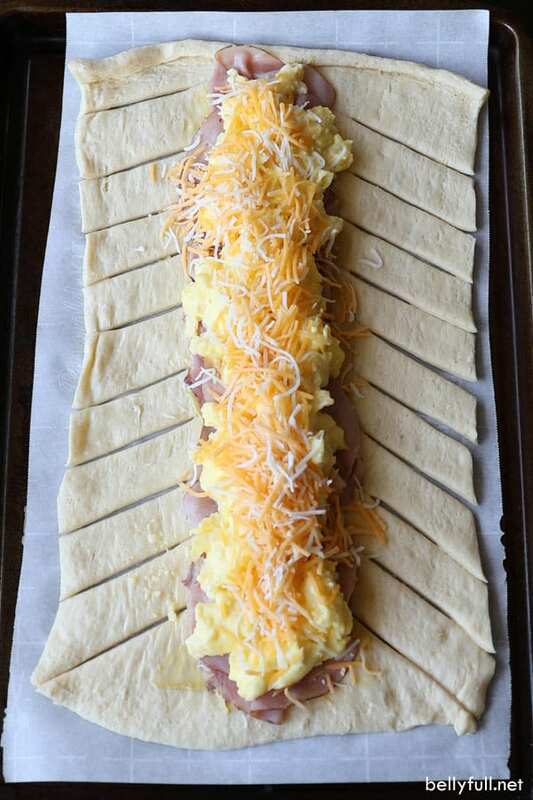 The bonus to this Breakfast Braid is its versatility. If you don’t like ham, use cooked sausage or bacon. Want more of a kick? Swap out the cheddar cheese for Pepper Jack. Garnish with chopped scallions instead of parsley. So many different combinations. You could also serve it with sour cream and salsa for a Mexican touch. Of course MY kids would never go for that, but what do they know! 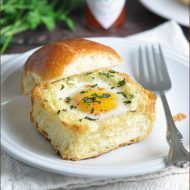 Looking for other egg recipes? I’ve got you covered! 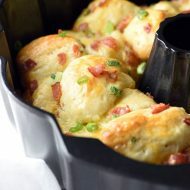 Watch the video to see how this Easy Breakfast Bread is made! Follow these directions for The Best Scrambled Eggs. 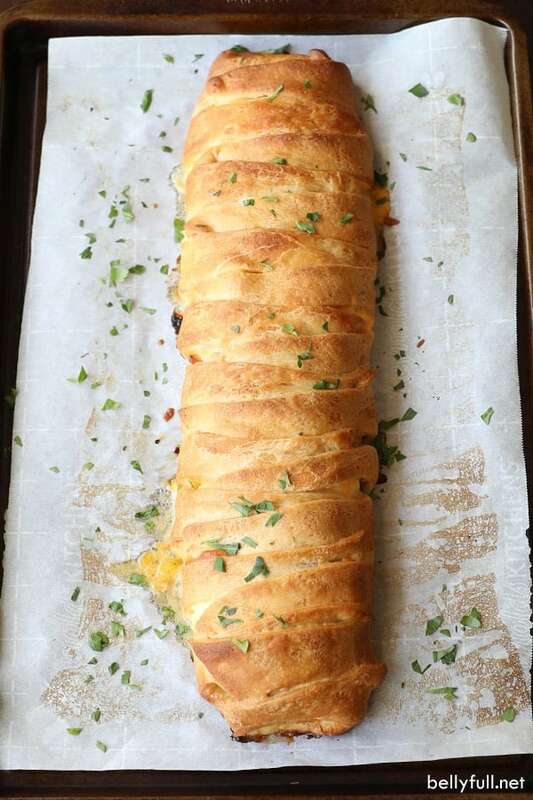 Spread the mustard along the center of dough. 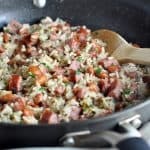 Top with the ham, scrambled eggs, and cheese. Crisscross the dough strips over the filling so that you get a braided pattern, making sure the filing is secure and the dough adheres to each other. Bake for 20-23 minutes until golden brown (tent with foil after 18 minutes if it’s getting too brown.) Remove from oven and sprinkle with the parsley. Let rest for 5 minutes, then serve immediately. 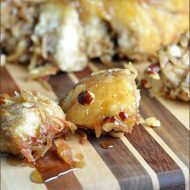 My oven runs hot, so for me this recipe is done at 20 minutes and I need to tent with foil at the 18 minute mark. Just watch it closely. 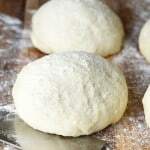 You want the dough to be cooked through and a deep golden brown, but not too dark!